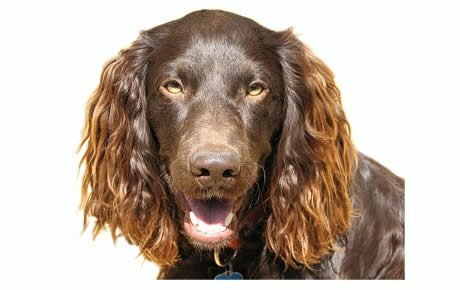 See below for complete list of Boykin Spaniel characteristics! Created by South Carolinians for hunting turkeys and waterfowl in the state's swamps, the medium-size brown dog encompasses the best of the spaniel talents and personality: An ability to flush and retrieve, willingness to work, attractive hanging ears, and a friendly wagging tail. Besides being a great all-around hunting dog in a convenient size, he's alert, self-confident, and smart, all of which make him an excellent family companion as well. 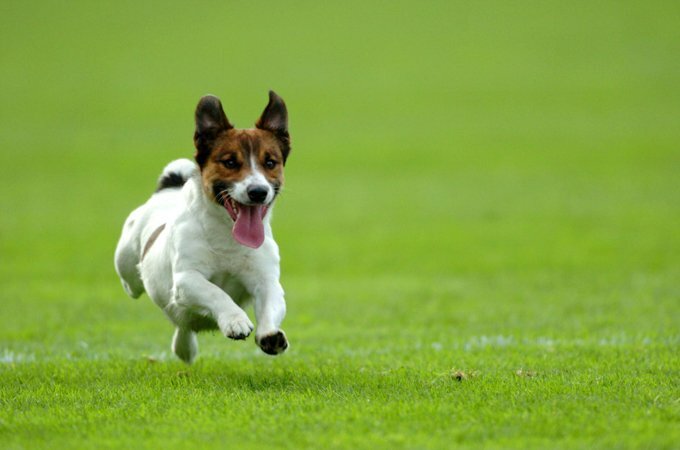 He gets along with other dogs and children and takes to training like a duck on a june bug. Males stand 15.5 to 18 inches at the shoulder; females, 14 to 16.5 inches. Females are 25 to 35 pounds, males weigh in at 30 to 40 pounds. The medium-length outer coat is flat to slightly wavy and tops a short, dense undercoat that keeps the dog warm when retrieving from water. Light feathering covers the ears, chest, legs, and belly. In color, he's a rich, solid liver, brown, or dark chocolate.